AP reporting: Patty Schachtner defeated Republican state Rep. Adam Jarchow for an open state Senate seat Tuesday in an upset victory for struggling Wisconsin Democrats, signaling voter anger toward President Donald Trump that could cost the GOP more legislative seats in the fall elections. 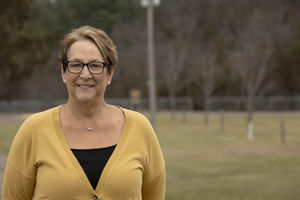 ...Schachtner, the St. Croix County medical examiner and a Somerset school board member, had entered the race in northwestern Wisconsin’s traditionally conservative 10th Senate District as the clear underdog. The Republicans fought hard for the seat, nominating a young state representative to carry the Trumpian message. Plus Americans for Prosperity poured in the bucks along with the Republican State Leadership Committee. But nothing helped turn back the blue wave. Hey Williamson! You didn't mention that the Democratic woman beat that Republican man BY 9 POINTS in a rural district and that the Wisconsin Republican Party is FREAKING OUT!